Hi there friends! 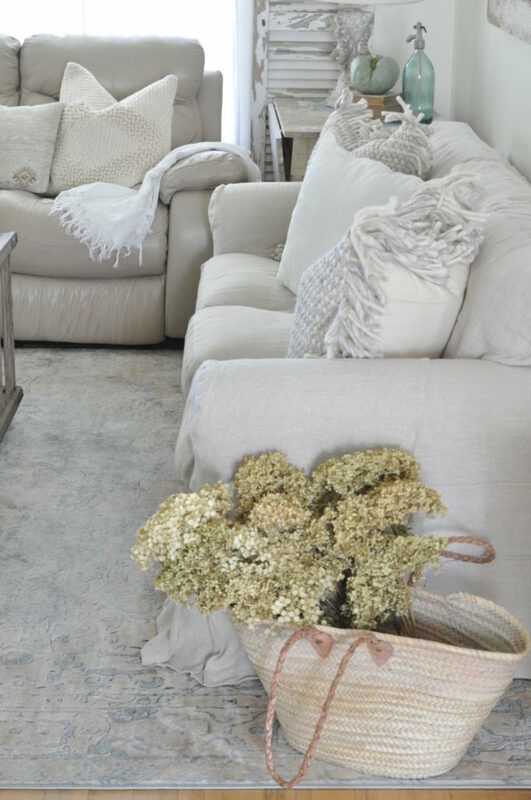 I’m excited to share our Family Room Fall Refresh with you this week…featuring a new rug and some natural fall details. It’s Fall Break for us this week! I feel a surge of energy when I get a week off…so I’ve been cleaning and organizing like crazy. Since August, we’ve been in the middle of the fast-paced school/teaching life that I truly never thought we’d be into again. Yet, here we are. And I’m sincerely trying to find the silver lining. Just to catch you up, in case you’re new here…I went back to teaching full time this year. I have the sweetest 3rd graders! However, it’s been quite an adjustment for our family. And…it’s hard to keep up with the blog. So, thanks for being patient with me and stopping in to visit when you can! 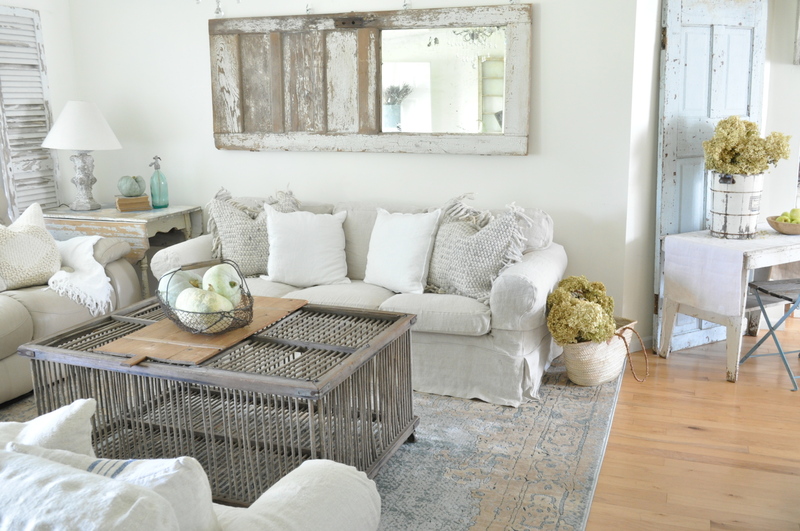 Last week I received this gorgeous new rug from Boutique Rugs and it’s the perfect addition to our family room. 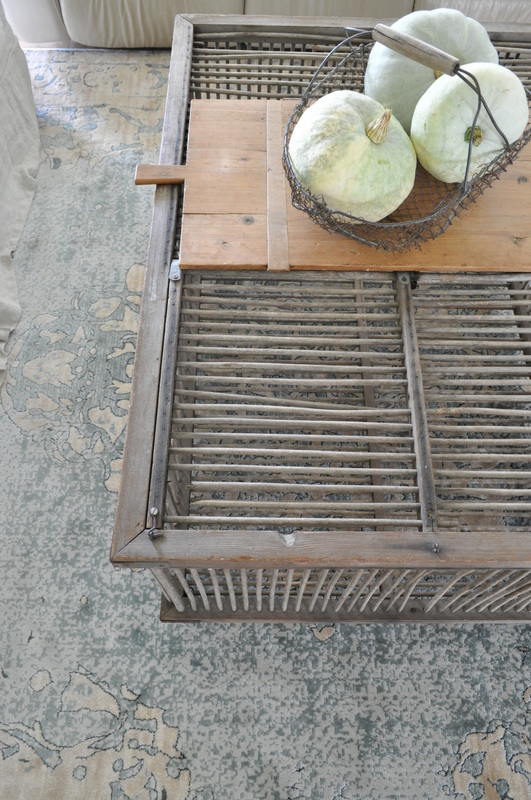 It’s the Asia Minor 2306 Rug, in the prettiest pale blue. With the addition of a new rug, I decided to go ahead and style the room with a few pumpkins for fall. All the colors looks so pretty together. This rug is so soft! It passes the pinch test, too…no shedding when pinched. 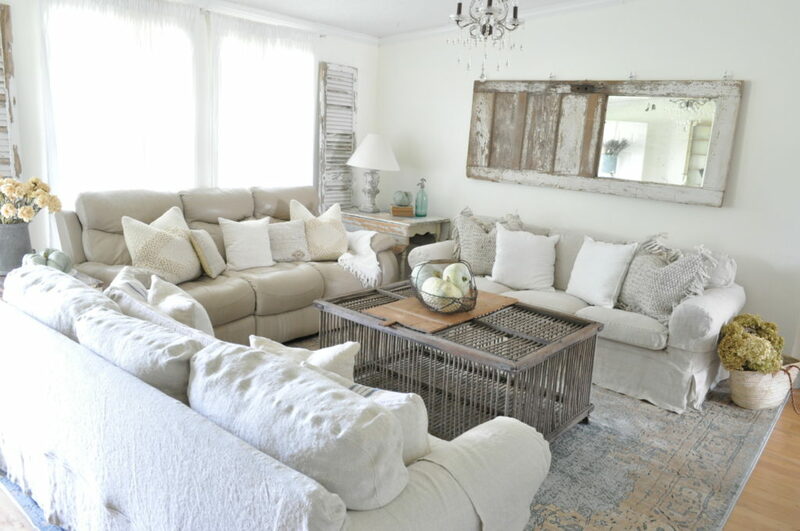 Also, I love how it blends well with our BEMZ sofa slipcovers. We love how it feels on our bare feet! And I love how it looks in different lighting. When the light hits it just right, it’s very pale and neutral. Then when the light fades, the rug appears darker, like in the photo below. 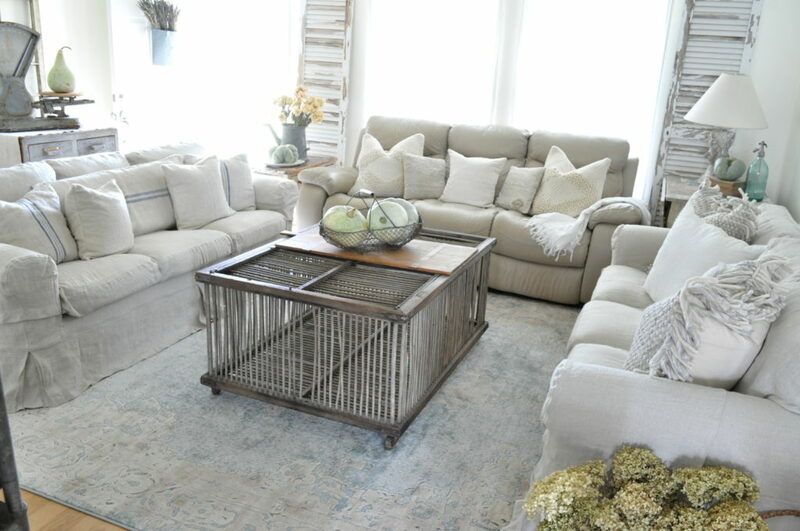 I have the Asia Minor 2306 Rug in 9×13 size for our family room…and it’s a perfect fit for three sofas. 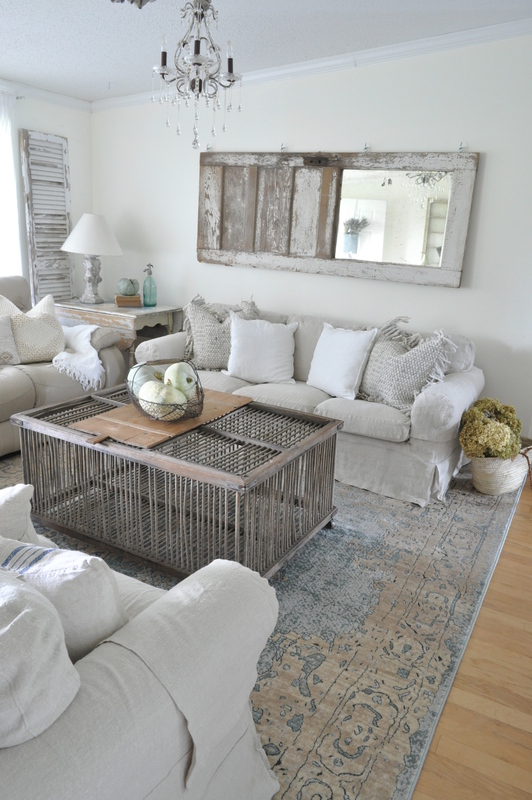 I also love the contrast between the wooden chicken crate coffee table and the light color rug. 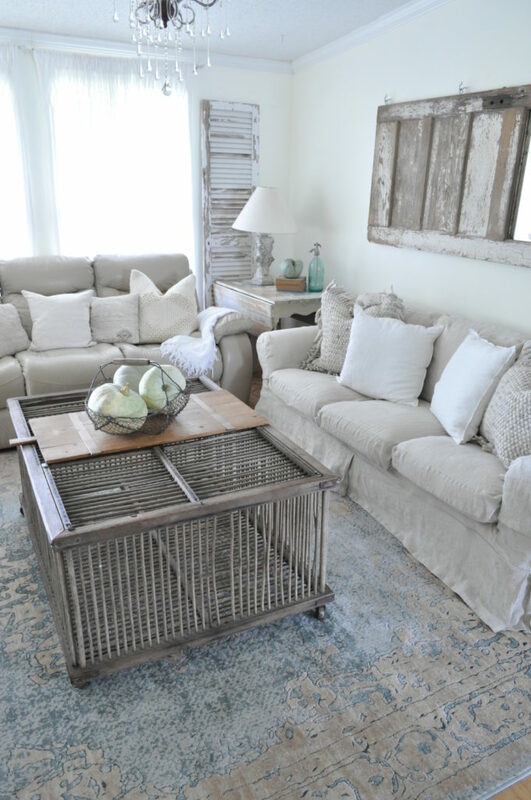 How would you like to get a new rug? I’m hosting a GIVEAWAY with Boutique Rugs beginning on Thursday…so, follow along on My INSTAGRAM account HERE to get all the details. 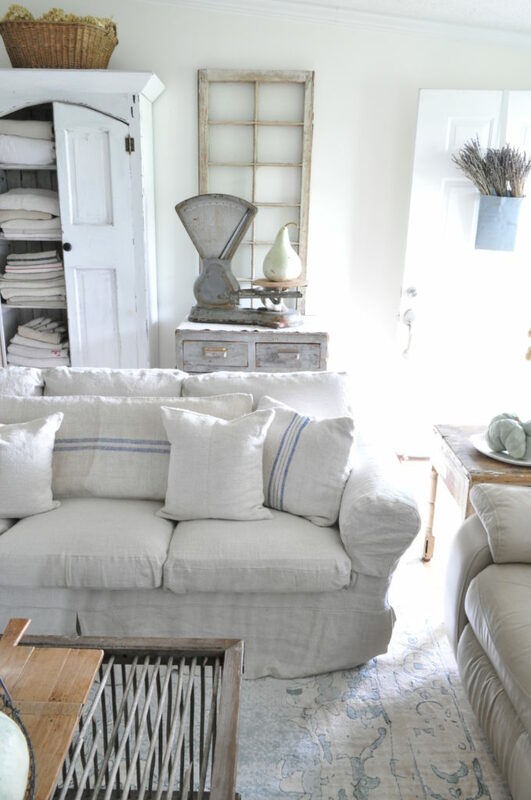 You love your two matching couches – exactly the style and color I’m hunting for. Can I ask where you found them?